Home > Social Media > Are You Prioritizing The Best Social Media Platform For Your Business? Not all social media platforms are created equal. Contrary to popular belief, having a company page on Facebook, LinkedIn, Twitter, Instagram, Snapchat, Google+ and YouTube, among others, will not necessarily drive value for your customers. In effect, your current marketing strategy might have you spending resources on a social account that garners little to no consumer engagement, resulting in wasted resources that could have been allocated more efficiently. In this day and age, however, some might even argue that it’s an automatic loss not to take advantage of all of the owned media available for brand awareness. There is no harm in covering all of your bases if your company is large enough to manage it all, but for many middle market businesses, there is a line to be drawn. Open a new social media account with a specific goal in mind, not because you believe it is expected in digital marketing. Make sure you understand the benefits of each platform and what its purpose is, so your efforts don’t go to waste. Is it primarily going to be used as a customer service platform? If so, sites that have a strong messaging interface and high consumer interaction, like Facebook and Twitter, may be best for this purpose. Showcasing new products and promotions is usually unidirectional, so LinkedIn could also be an option, in addition to the others. General brand awareness and online presence are more reasons to host an account, but not as a one-time effort. For example, a YouTube channel must be made with the intent to consistently post relevant video content, or else it will disappear among the masses of other abandoned pages. Misdirected targeting is essentially throwing money down the drain. Implement a strategy to select your social networks by looking at the data and segmenting its users by age, interests, location, gender and income. The majority (78%) of 18- to 24-year-olds use Snapchat, for instance, and 68% of U.S. adults are active on Facebook, according to Pew Research Center. Use this information to your advantage when deciding which platforms to use for what content and for which people. Know where your audience is and find ways to communicate with them in the most meaningful ways possible. Don’t forget that data also goes beyond demographics — specialize your social media strategy by the type of company you are and keep groups of people in mind if they are relevant. For primarily business to business (B2B) companies, LinkedIn is one of the best platforms for generating leads and now makes up 46% percent of the social media traffic generated to company websites for B2B firms. What Content Do You Want To Post? What you are posting on your social platforms is just as important as who you are posting it for. Do you plan to use one or two consistent content forms or want the flexibility to have a hub for all of your company’s updates? LinkedIn is a great option for longer posts with embedded links to external sites, whereas Snapchat is best for videos that are short and sweet. Instagram does not embed links on its posts, and keep in mind that the Twitter character limit may cut your editorial short. 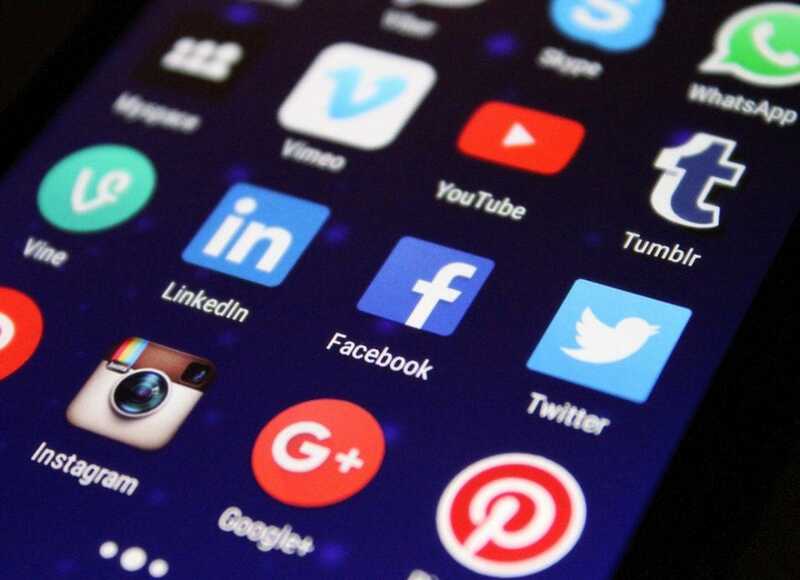 Social media platforms with the ability to post text, images and videos, such as Facebook and Google+, can serve as your home base for all of your media, while others can cater to niche audiences with artsy photos or minute-long videos. What Ads Do You Want To Place? Social networks can be more than just a place for owned media for the right price. Targeting your ideal customer becomes even more imperative when you are marketing to them not only for awareness but for a potential business lead for which you are paying. Do your homework and follow suit with successful ad campaigns by other companies. How do they engage their customers? What kind of media are they placing and on what platforms? How can you tailor an ad in the same way to ensure a decent return on investment? To reap the benefits, make sure to present your offer via the right medium to people who will actually find it relevant and in a place those people will see it. Social platforms make it easy to use customer-generated content for ads, which often performs much better. It allows for money-saving retargeting and effortless A/B testing to ensure you allocate your budget properly and receive the highest ROI. Is My Industry Known For This Platform? Lastly, pay attention to your competitors. Focus your efforts on the networks where your industry thrives, and stay away from those where your company may seem like an outsider. Instagram, Snapchat and Pinterest are very image-heavy, meaning they rely on aesthetics more than other platforms. As such, they are often populated with successful entertainment, fashion and lifestyle brands. LinkedIn tends to serve professional B2B industries with a more traditional focus, such as law, marketing, finance, advertising and real estate. Video-hosting sites like YouTube are ideal for technology and media companies, which benefit from tutorials, video marketing and original video content. Ultimately, the social media platforms you choose to represent your company is up to you. There will never be a perfect combination of platforms, content, advertisements or audience engagement no matter how good your strategy may seem. It’s important to remember that social media is fickle, and you may not always get the numbers you had anticipated. But hopefully, these tips offered you more insight on how to streamline the process in a manner that will be valuable and relevant to your company.